Adding a turntable to your system is like having a log fire - a radiator may warm you up but you wouldn't want to sit and watch it. There's something uniquely pleasurable about listening to vinyl, something that digital media can't reproduce in quite the same way. While the latest digital formats sound incredible, there's detail and warmth that can't always be expressed in 0s and 1s, crackle that adds character, and live music simply comes to life. And the Azur 651P makes the very most of vinyl, whatever your deck. It even works with Moving Coil cartridges found in the highest of high-end audiophile turntables. Dimensions (WxHxD)46 x 215 x 133mm (1.8 x 8.5 x 5.2''). There's something uniquely pleasurable about listening to vinyl, something that digital media can't reproduce in quite the same way. However most hi-fi amplifiers won't let you plug in a turntable directly. 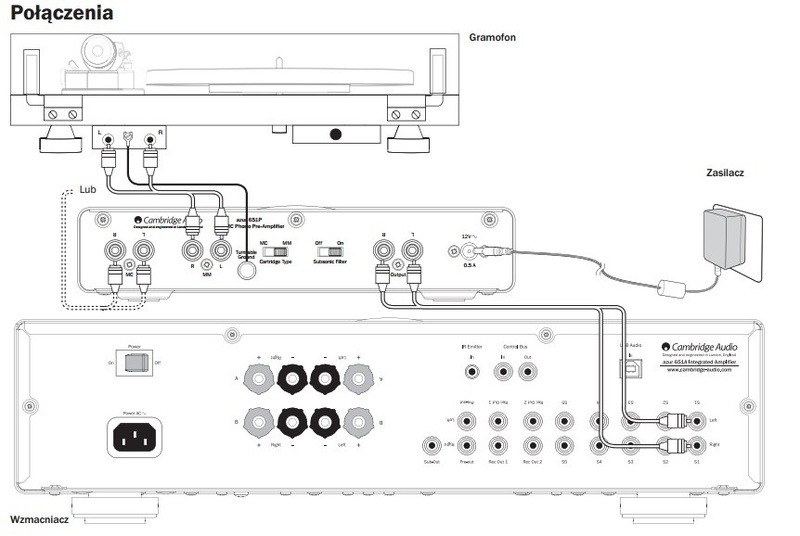 You need to connect via a phono stage (also known as a phono preamp) to make the very small signal from the turntable powerful enough for your main amp to work with. But it's very easy to add noise at this stage, which is why Cambridge Audio have designed the 651P using premium components chosen for exceptional accuracy, amplifying the signal without distorting it or introducing noise. The 651P works with all turntables, whichever type of cartridge they use. Like the 551P it works with popular Moving Magnet cartridges. 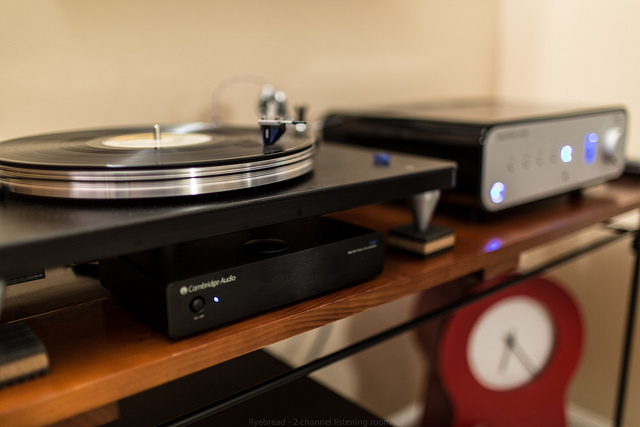 But it also works with Moving Coil cartridges found in the highest-end audiophile turntables offering even more accuracy and detail than Moving Magnet. 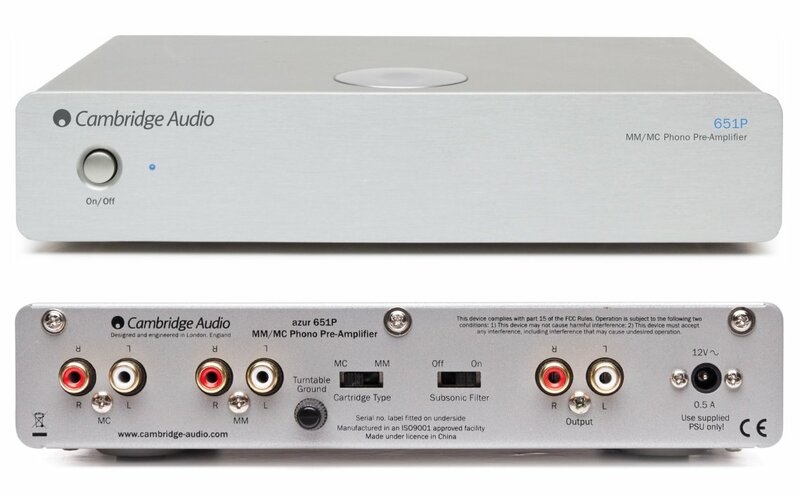 Additionally, even if your amplifier does have a built-in phono stage, it's well worth bypassing using the 651P to deliver much greater depth and detail of audio. In line with Cambridge Audio's commitment to the environment, a power switch cuts energy consumption to zero when not in use.